We've been in business for over 15 years in the Wichita area, and have established ourselves with our integrity and unwavering ethical code. We require all of our technicians to pass a criminal background check to give you peace of mind. Not all locksmiths do this!! When you get locked out of your car or need locks changed on your home, you can trust us to provide you with excellent, fast and most importantly – secure and safe service. Call us today for either emergency mobile service or to schedule a service call at 316-712-1895 (East side of town) or 316-722-1195 (West side of town). For your convenience, we accept both cash and all major credit cards. Locked out of your car or lost the keys to your motorcycle? 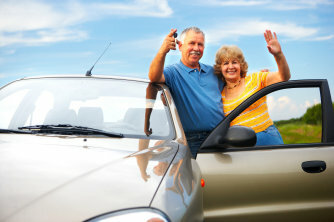 We can provide fast, mobile service to get you back on the road quickly! We have two service trucks that can come to your aid in just minutes, and can unlock your car AND make you an extra set of keys right on site! We service nearly every kind of car, truck, and motorcycle on the road, including all major brands like Ford, Chevy, Dodge, and Nissan. Are you sure you're protected? 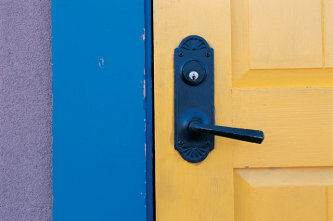 A home is broken into every 30 seconds in the United States – usually because doors are not adequately secured. We can change locks, install deadbolts and high-security locks, and install access control systems and Business Restricted Key systems and other protection measures to and give you total peace of mind. Your safety and security are worth it!